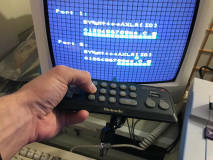 A while ago I documented how the NTT Data Keypad (NDK10) for Super Famicom communicates. I did not know it at the time, but a similar controller also existed for the Famicom: The HVC-051! Of course I decided to get one to figure out how it works.... my results are published here. 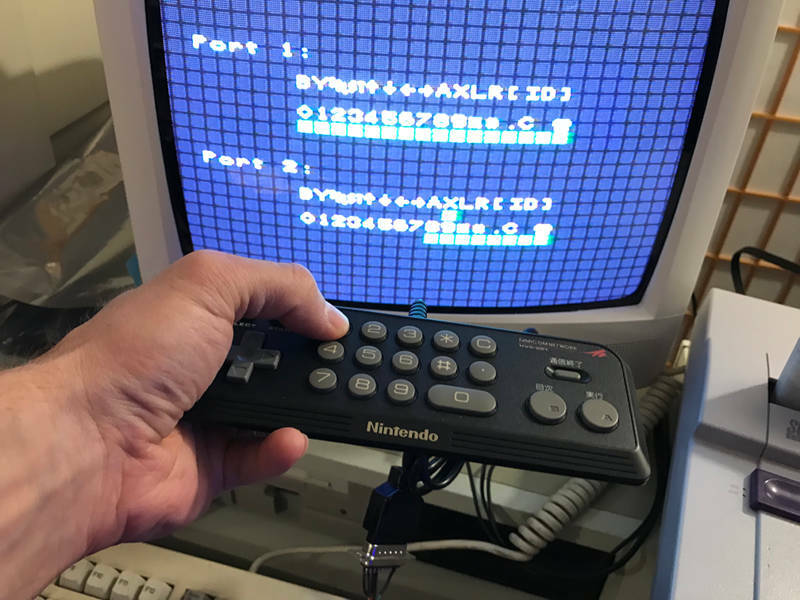 To learn about how NES/SNES controller works, I recommend this page: Super Nintendo Entertainment System: pinouts & protocol. 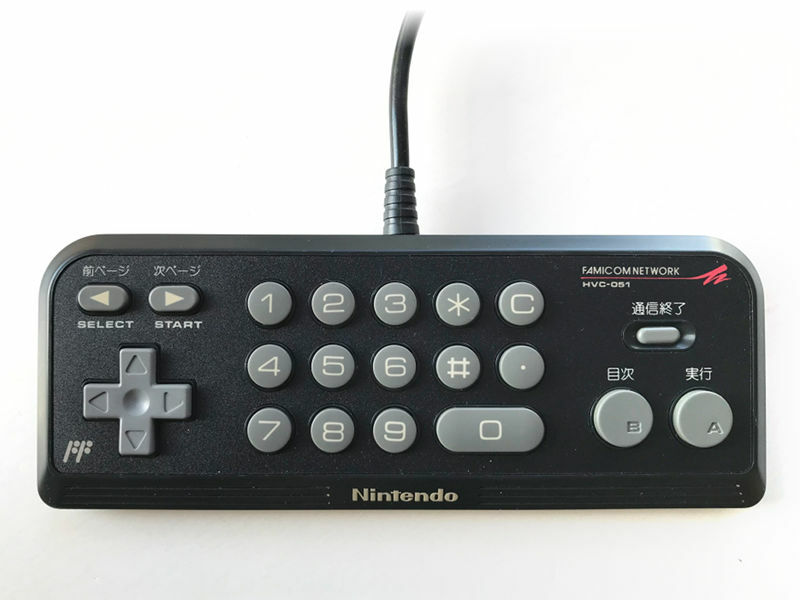 Yes, it's for SNES controllers, but it's almost the same. 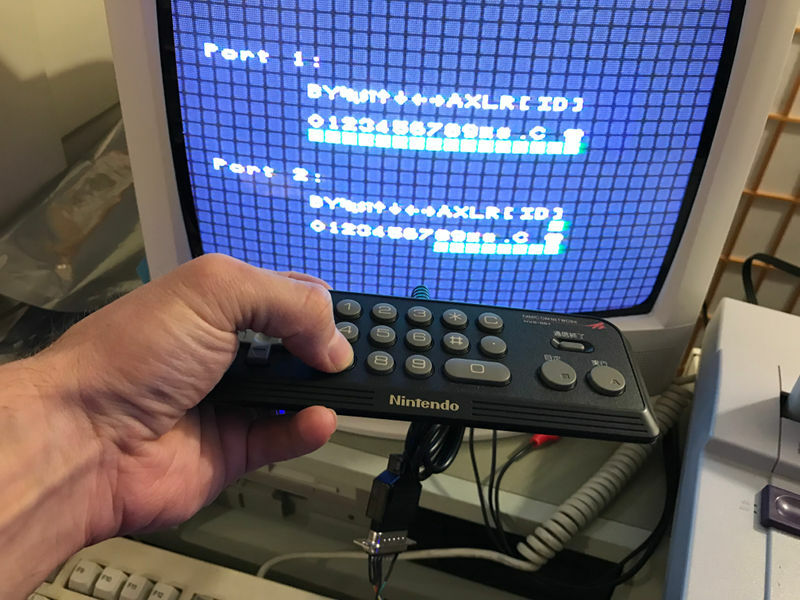 NES/Famicom controllers only need 8 clock cycles to be read since there are fewer buttons. 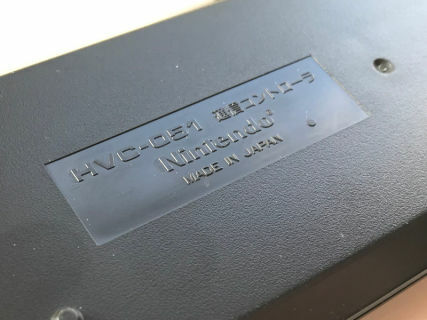 But to read the status of the HVC-051, a total of 24 clock cycles are required. 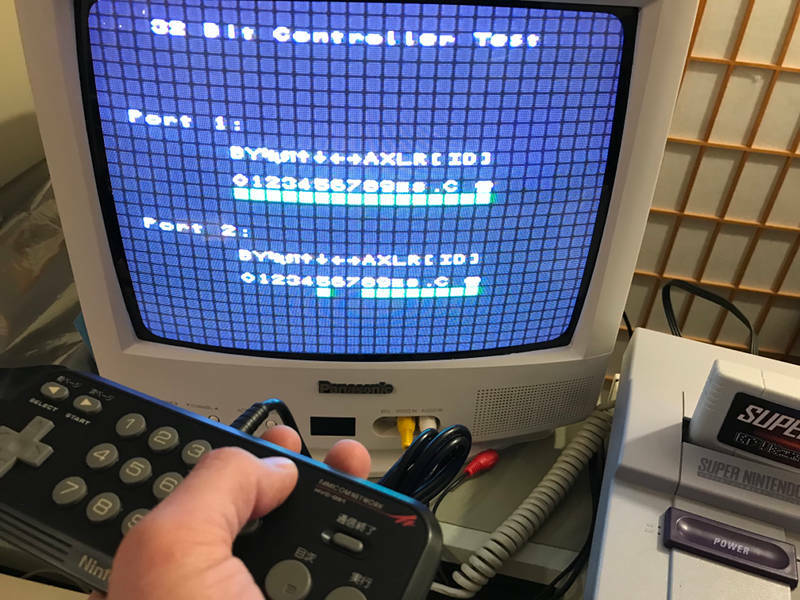 Here are waveforms comparing the HVC-051 bit sequence with that of a normal controller. I thought it could be interesting to also talk about what I did to find out the bit sequence. 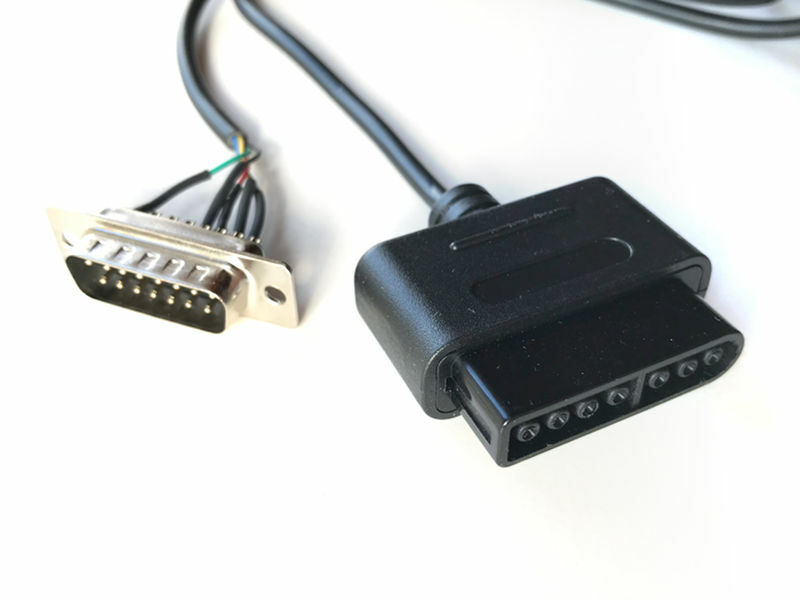 Knowing that Famicom/NES controllers are very similar to SNES controllers (they are just shift registers, with a clock, latch and data signal), I built a simple adapter (wire-to-wire, no micro-controller) to connect a Famicom controller to an SNES console. Such an adapter would normally be useless since games expect SNES controllers. But I intended to use my own SNES program, the simple controller test I developed during the 2018/09 RetroChallenge. This tester simply reads 32 bits from the controller and displays the result on screen (a green square means a 0 was present on the wire). 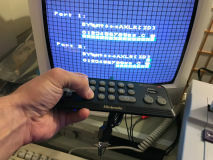 With the HVC-051 and the adapter connected to port 2, I just had to press every button, writing down the corresponding bit.